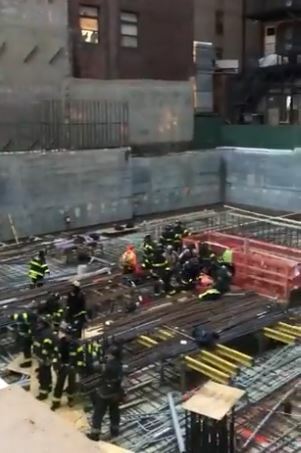 Fire officials say nine workers were removed from a construction site in midtown Manhattan after a report of carbon monoxide exposure. Firefighters were called to the scene at East 29th Street and Madison Avenue at about 4:30 p.m., Tuesday. A fire department spokesman says the victims all had non-life threatening injuries.